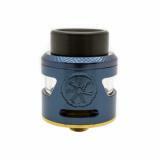 The Asmodus Bunker BF RDA is 24.5mm in diameter. It features the unique dual posts design for easy single coil building. 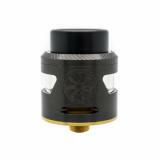 With the top cap locking system and delrin drip tip, the Bunker RDA is definitely a great vaping device. The latest Asmodus Bunker BF RDA is coming! It is a new dripping atomizer with 24.5mm diameter and delrin drip tip. It also attaches a regular 510 pin and a bottom feeder pin to meet your different vaping needs. 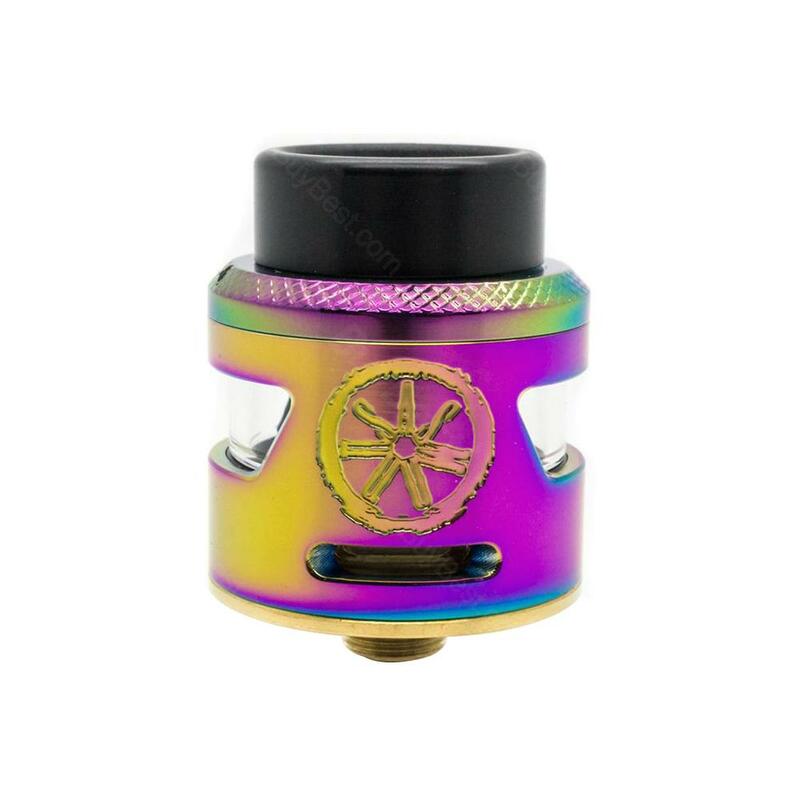 The Asmodus Bunker RDA features unique dual posts design for easy single coil building. The Bunker is topped with a top cap offerring a unique locking system which locks the cap into place effectively. With the adjustable bottom airflow system, the Bunker RDA will bring you excellent vaping experience. • It doesn't come with e-Juice. You can buy them separately. 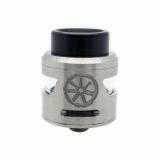 Asmodus Bunker BF RDA is a dripper 24.5mm in diameter, made in top quality Stainless Steel. 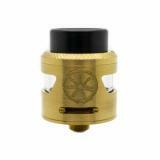 Known for easy assemblies in simple coil, the Bunker Squonk Dripper has a top cap with windows.